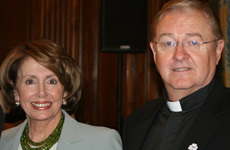 Sean Mc Manus and Nancy Pelosi in 2008. A NEW online Irish passport renewal service will be launched today amid an increasing number of applications. The service, which will be unveiled by the Republic’s foreign affairs minister Charlie Flanagan, will allow Irish citizens to renew their passport books and cards online from wherever they are in the world. The facility is for adults who are over 18 only, with first-time applicants and children unable to apply online. The Department of Foreign Affairs said the service will be “convenient, secure and it will offer faster and more predictable turnaround times”. The new online initiative is part of the Dublin government’s passport reform program, which aims to modernize Ireland’s passport systems and controls. 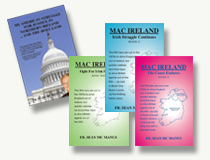 The department said it will bring further benefits to Irish citizens at home and abroad in the coming years. But it also comes amid increasing pressures on the Irish passport service following the EU referendum result. Since the Brexit vote in June, there has been an unprecedented spike in applications from Northern Ireland and Britain. Recent figures show that applications from the UK for an Irish passport were up 74 percent in January compared to the same time last year. There were more than 7,000 applications from people from Northern Ireland in January, up from 3,973 in the same month last year. The passport service also recently employed more than 200 temporary clerical officers to help with processing the applications and responding to customer queries.